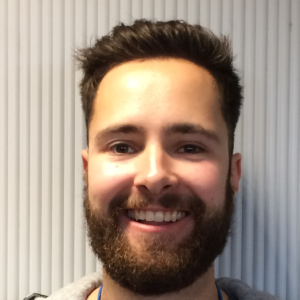 BAS > News & media > Latest blogs > SCIENCE IN THE SEA – Part 2: Busy biologists! 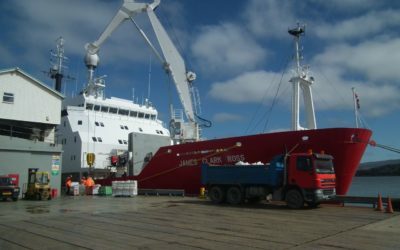 First thing I learn as I begin my trip aboard the RRS James Clark Ross is that, scientist on research cruises need to be able to adapt quickly! Within two days of setting off from Stanley our original itinerary was completely reshuffled. With a large storm heading our way, it would have made surveying and deploying gliders in Drake Passage almost impossible. 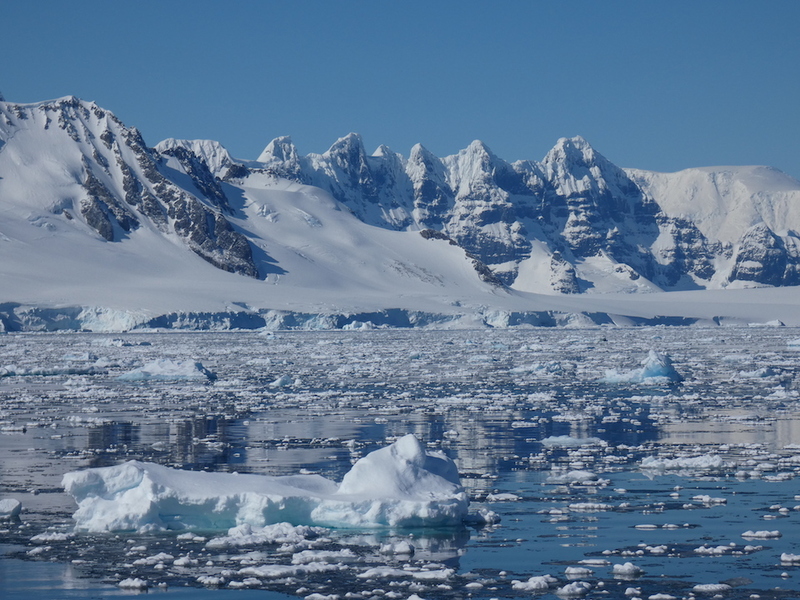 So instead, we began heading straight to the two biology sites along the Antarctic Peninsula. Our first destination was Marion Cove, which is close to both the South Korean base King Sejong on King George Island and a Chilean Base. As we travelled towards the cove I picked up both Korean and Chilean phone signals within an hour – there aren’t many places in the world where you can do that! Looking out of Marion Cove at sunset. If you look closely you might just be able to see the Korean base King Sejong on the shore (centre-left). Photo credit: Ryan Scott. 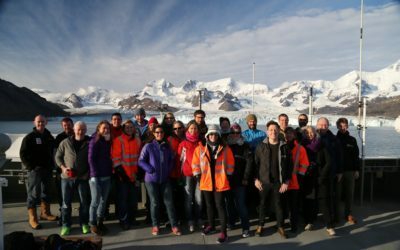 During the survey, the biology team worked almost continuously over 48 hours collecting data using a variety of methods. 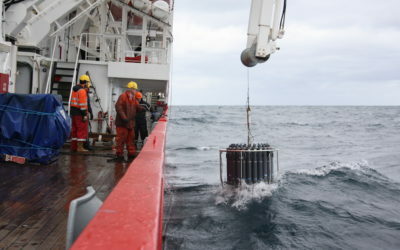 Measurements included the depth to the seafloor and the temperature and salinity of the seawater. 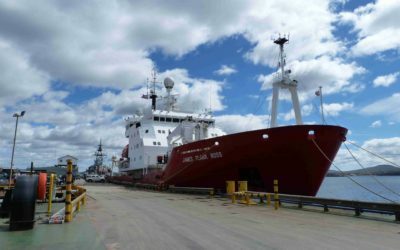 A shelf underwater camera system, deployed off the side of the ship, recorded live footage of the seafloor and samples of seafloor sediments and creatures were collected. 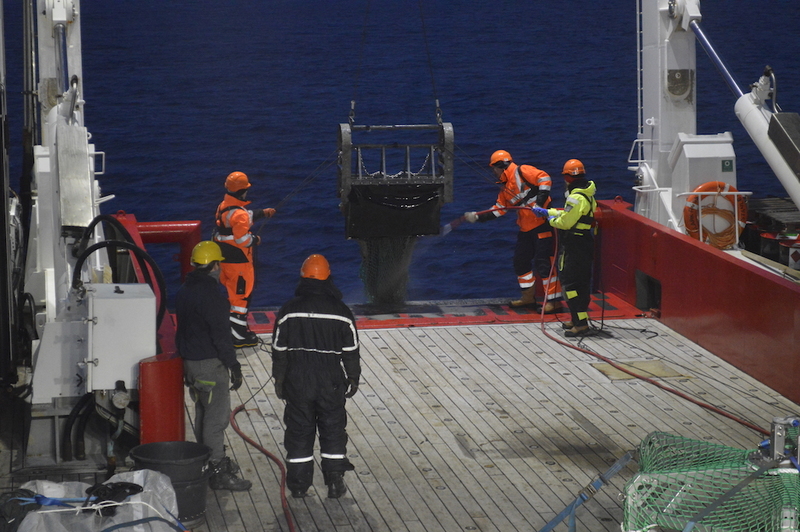 The trawling net being deployed at the back of the ship. This net is used to collect creatures from the seafloor. Photo credit: Jennifer Foster Davidson. 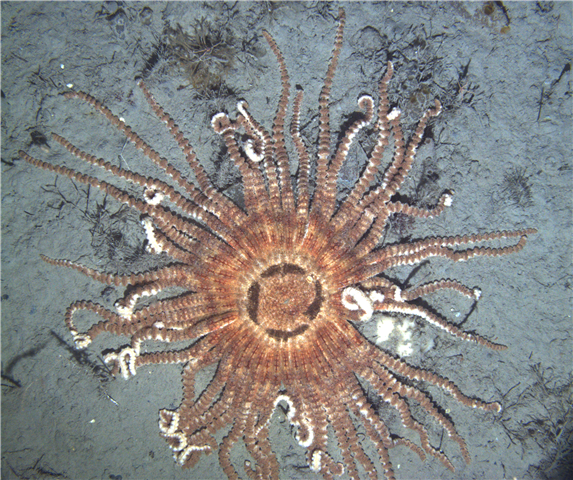 Photograph of sea star, collected using the Shelf Underwater Camera System. Photo credit: David Barnes. 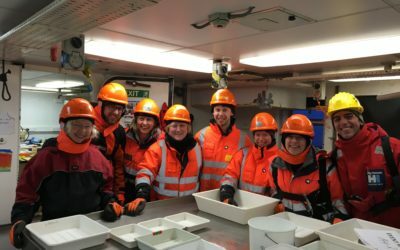 All this information was collected as part of the ICEBERGS project and will help scientists understand what lives on the seafloor in areas recently exposed due to glacier retreat along the western Antarctic Peninsula. Scientists will be able to observe how abundant various species are in the newly uncovered regions compared with areas that have been uncovered for much longer.  They will also be able to gain an insight into how much carbon gets stored in sediments when sea creatures (unfortunately) die. 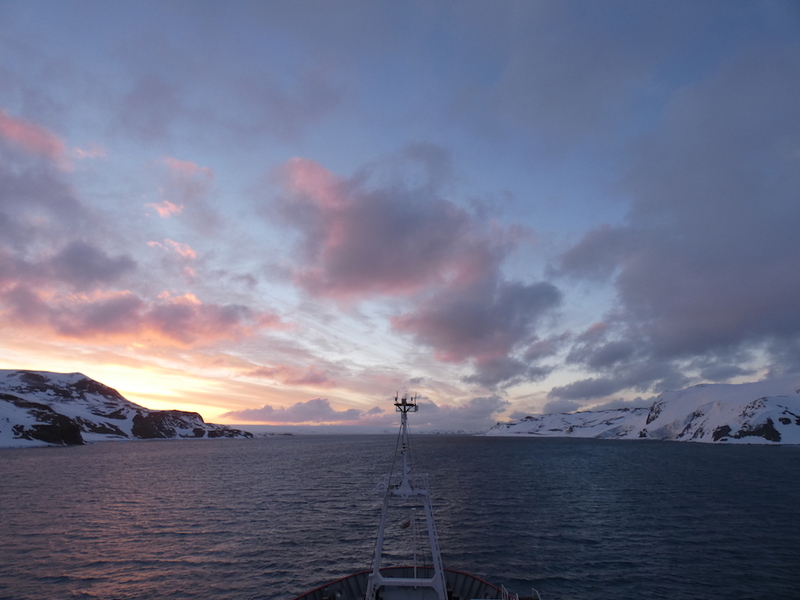 Sampling at the second site, Börgen Bay on Anvers Island, went ahead in a similar manner to Marion Cove. The bay itself was breathtaking, I thought that Marion Cove had amazing scenery but Börgen Bay blew us all away! The scenery at Börgen Bay was amazing and provided pleanty of photo opportunities. Photo credit: Ryan Scott.